HMAS 1942 First Edition for R.A.N. Excellent condition. All 4 available Published by Australian War Memorial Canberra. Written and published by the serving members of the R.A.N. *Can Combine Postage* Condition is excellent. Beautiful pictures. Local pickup welcome. Sent with Australia Post Standard Service. 3 Australian War/Military Books -As you were, H,M.A.S. and Active Service. 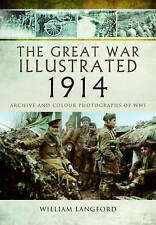 Published by the Australian War Museum Canberra. 3 Australian War/Military Books -. As you were. DARWIN'S AIR WAR. THE AVIATION HISTORICAL SOCIETY OF THE NORTHERN TERRITORY. KNOTS, SPLICES ETC., AND HOW TO MAKE THEM. 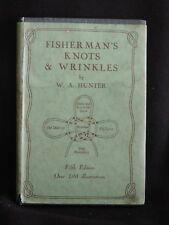 FISHERMAN’S KNOTS & WRINKLES. A. & C. BLACK, LTD. – LONDON - 1944 - FOURTH EDITION. HINTS AND WRINKLES. · The photograph is of the actual item being sold. Undated but possible 1970s. In soft cover format the book contains 188 pages and contains b&w plates and illustrations throughout. Good: A book that has been read but is in good condition. The dust jacket for hard covers may not be included. HOW I RAISED SHIRLEY TEMPLE. In good condition for its age. Large font for easy reading. DAIRY FARMING IN AUSTRALIA. Herd Testing and Sire Survey. Dairy Farming Under Irrigation. History of the Dairy Industry in Australia. Breeds of Dairy Cattle. Dairy Pastures. Design and Construction of Dairy Buildings. Fayette C Ewing. THE BOOK OF THE SCOTTISH TERRIER. The Scottish Terrier Muse. Printed 1932. Illustrated with Old Black & White Photographs. West Highland White. Hard Covered Book in Good Condition. ~~ FULL OF GREAT OLDER INFORMATION ~~. AUSTRALIAN NEEDLEWORK. Knitting Crocket etc. AUSTRALIAN BANK DEPOSIT : to Newcastle Permanent. I have many interesting, unusual and out of print books for sale. Plant Pathology. Butler, E. J. and Jones, S. G. 1949, Macmillan & Co.. Webbing showing at rear and front ep creases; text block very good. Photos and diagrams. _gsrx_vers_526 (GS 6.6.6 (526)). E. Estyn Evans, Dundalgan Press 1949. Neville Cardus. to Cricket Star. Published 1947 in Australia. when combining orders. located in Australia. are of actual item listed. What You See is What You Get. to have unlimited books or magazines. COMPILED BY BERYL NEWMANN, MAITLAND, 1991. 14 PAGES AND ILLUSTRATED WITH MAP AND REPRODUCTIONS OF OLD ADVERTISING MATERIAL. THEY WERE WRITTEN BY HIM MUCH LATER IN 1989 WHEN 87 YEARS OLD. IN GOOD UNMARKED CONDITION. Cover is a little worn and has a few marks. book weighs 495 grams. Also includes "The Legend of Waijungari, Jaralde Tribe, Lake Alexandrina, South Australia, and Phonetic System Employed in its Transcription;" by Tindale. Records of the South Australian Museum Vol V No. 3. Australian Aborigines: "Ceremonial Objects of the Dieri Tribe, Cooper Creek, South Australia.". By Vogelsang. PUBLISHING DETAIL: South Australia Museum. Bank: NAB. Money order, bank cheque, corporate cheque or personal cheque (in Australia). 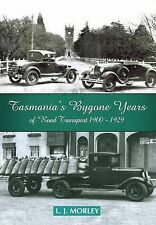 The forward for this book is written by Peter Ainslie, OAM. Australians in the 1915 Dardanelles Campaign. Book is in good used condition. Inside is tightly bound. A New Butterfly of the Genus Papilio from Arnhem Land. Also includes " The Tavau or Coil Feather Currency of Santa Cruz Island" by Waite. AUTHOR: Waite, Edgar R. [Edited by]. PUBLISHING DETAIL: South Australia Museum. Two Ziphioid Whales, not previously recorded in South Australia; 2. Studies in Australian Sharks No. 4; 4. Undescribed Crane-Flies in the South Australian Museum; 6. On Australian Coleoptera; 7. Studies in Australian Aquatic Hemiptera, No 1.
, 60 Pictures & stories of Early Geelong, published April 1944, 49 pages. ROUND THE WORLD IN A BABY AUSTIN by Hector Macquarrie. Published by Hodder & Stoughton Limited, London, 1933, 384-pages. Approximate size 12.5cm wide x 18.5cm high x 3.5cm thick. In Tasmania, it's Campbell Town for Books. Published 1944. A great piece of Australian History. Hardcover (No Dust jacket supplied ). and see condition report. are of actual item listed. What You See is What You Get. to have unlimited books or magazines. Readers Digest From 1922-1972. The First of Fifty Years. Make Supersized Seem Small. Sorry no collections. Get Images that. PUBLISHING DETAIL: South Australia Museum. · Direct Deposit to our bank account [details at Checkout], Money Order or personal cheque [Australia only]. Personal Collection. SIZE & CONDITION: Small Quarto Size. Ion Llewellyn Idriess, OBE (1889-1979) was a prolific and influential Australian author. He wrote more than 50 books over 43 years between 1927 to 1969 - an average of one book every 10 months, and twice published three books in one year (1932 and 1940). With The Australian Services From 1788-1946. R A N//A M F and R A A F.
Oxford University Press, 1943,b/w illustrations throughout, paperback. War Pictures By British Artists. (Second Series No. 3). Hodder & Stoughton. G. L. STEER. In Tasmania, it's Campbell Town for Books. By Edward Lynch. This is a history of the BLACK family and their association with the wool industry on their property 'Wallangra' near Ashford, NSW. It also contains a list of burials at Blue Nobby Station and Wallangra Station. 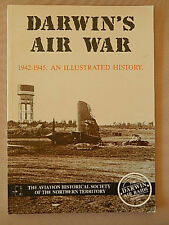 SLIGHTLY LARGER FORMAT FIRST EDITION SOFTCOVER PUBLISHED BY THE MINISTRY OF INFORMATION FOR THE AIR OFFICE AND THE AIR MINISTRY, LONDON, 1943. 88 PAGES AND ILLUSTRATED WITH PHOTO PLATES. THE OFFICIAL STORY OF BRITAIN'S ANTI AIRCRAFT DEFENCES. AN ON THE SPOT AND PATRIOTIC ACCOUNT. IN GOOD CONDITION WITH ONLY A NAME INSIDE COVER. COVERS GOOD WITH ONLY A LITTLE GENERAL WEAR. SPINE AND BINDING GOOD. POSTAGE MAY BE LESS THAN THE EBAY ESTIMATE. PLEASE REQUEST A QUOTATION IF REQUIRED. By Cecil J. Hackett. September 1936. AUSTRALIAN BANK DEPOSIT : to Newcastle Permanent. This paper records the results of investigations in the Northern Territory of Australia during the winter of 1934 with the assistance of a grant from the Sheridan Research Fund of the Adelaide University. CORONATION SOUVENIR BOOK 1937. AUSTRALIAN BANK DEPOSIT : to Newcastle Permanent. I have many interesting, unusual and out of print books for sale. HC/DJ pbl in 1944. ENGLISH INNS. by THOMAS BURKE. By W. H. Fitch. Illustrations of the British Flora. Publication Details: L. Reeve & Co., Great Britain (1939). Binding: Hardcover. Category: Natural History & Resources. Book Specifics. Edges of boards have moderate wear. HC pbl in 1938. by HUGH B C POLLARD. RIDING AND HUNTING. By Austin Cooper. 1945 NEW REVISED EDITION. 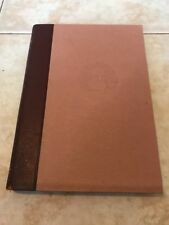 The Studio Hardcover 96 Pages. This book features illutrators such as Vladimir Lebedev (spelt as Lebedeff), A. Mouron Cassandre, Frank Newbould and many more. Decline and Defeat 1943-1945. Pictorial in nature. By H.H. Read. Sorry no collections.